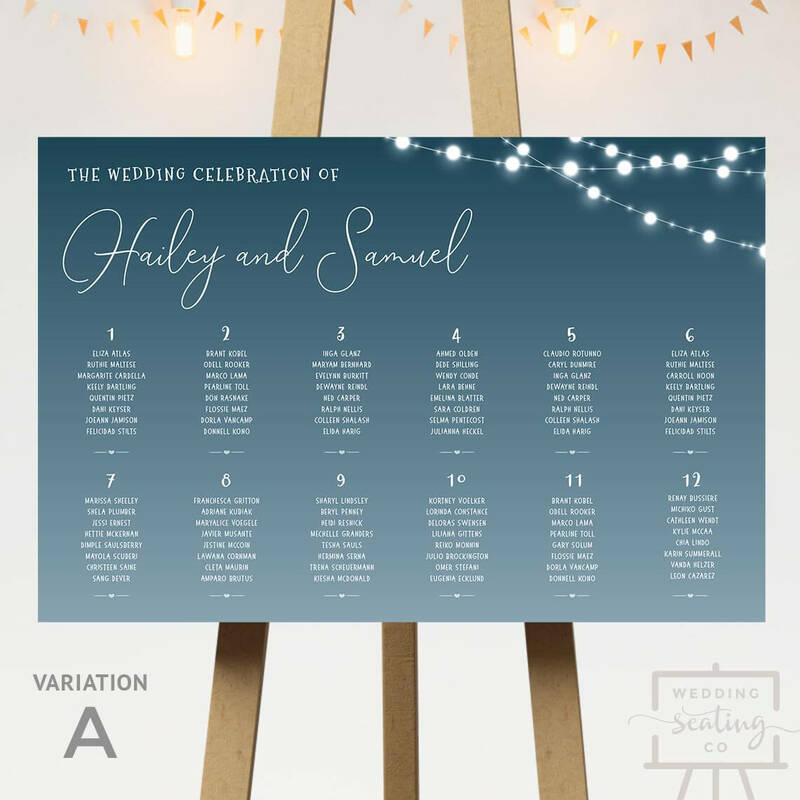 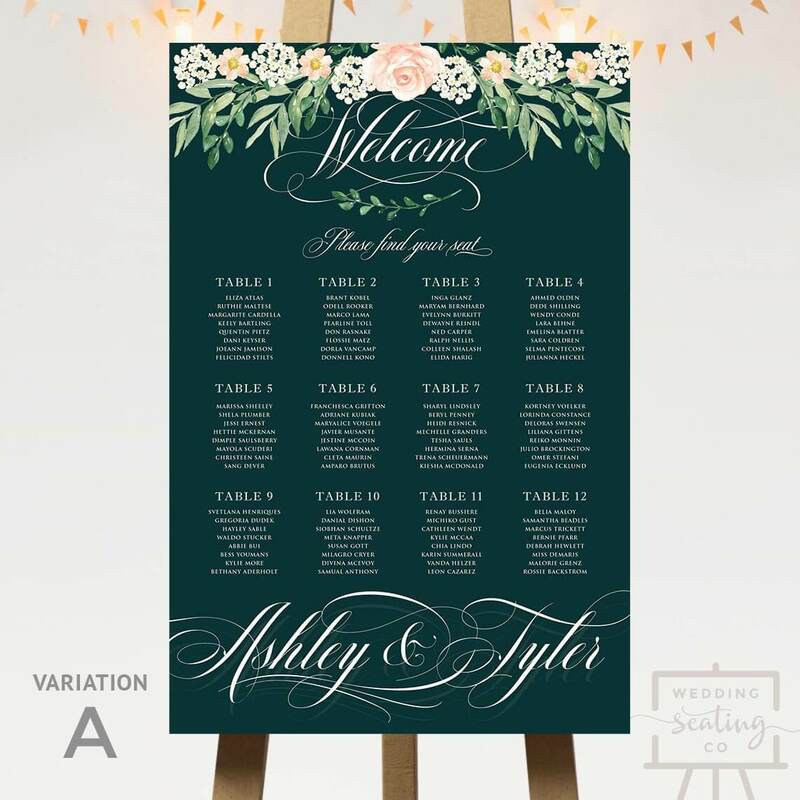 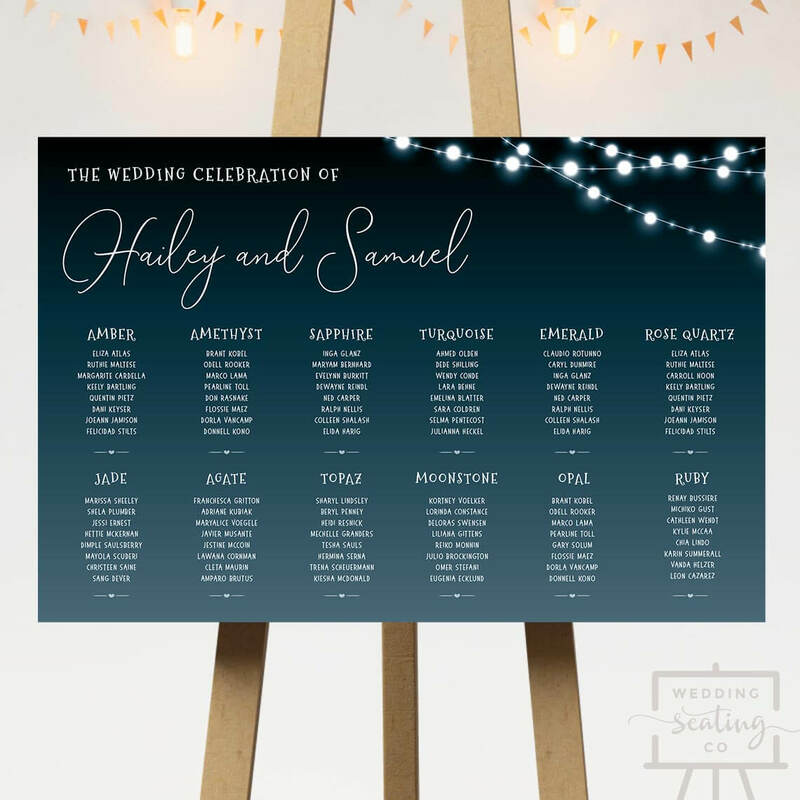 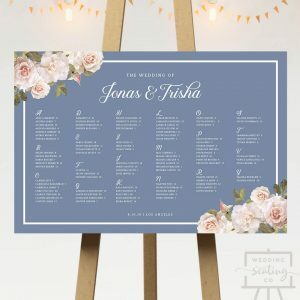 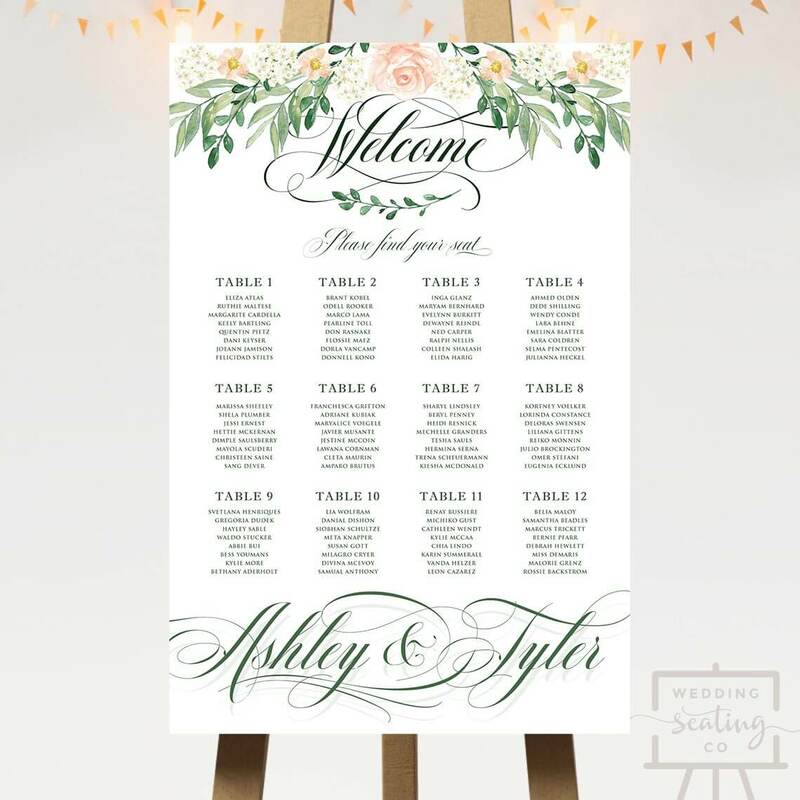 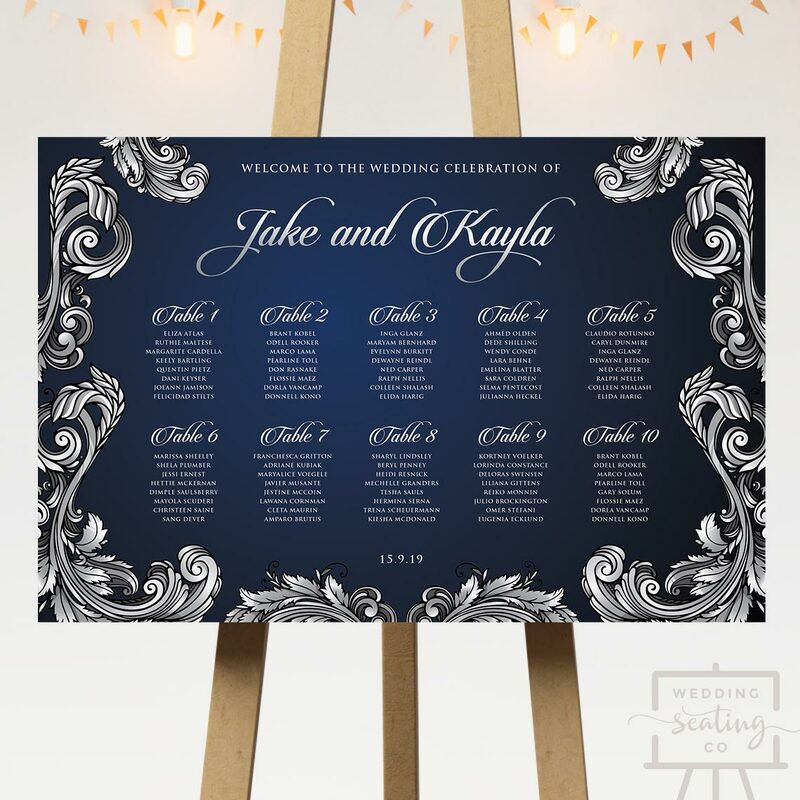 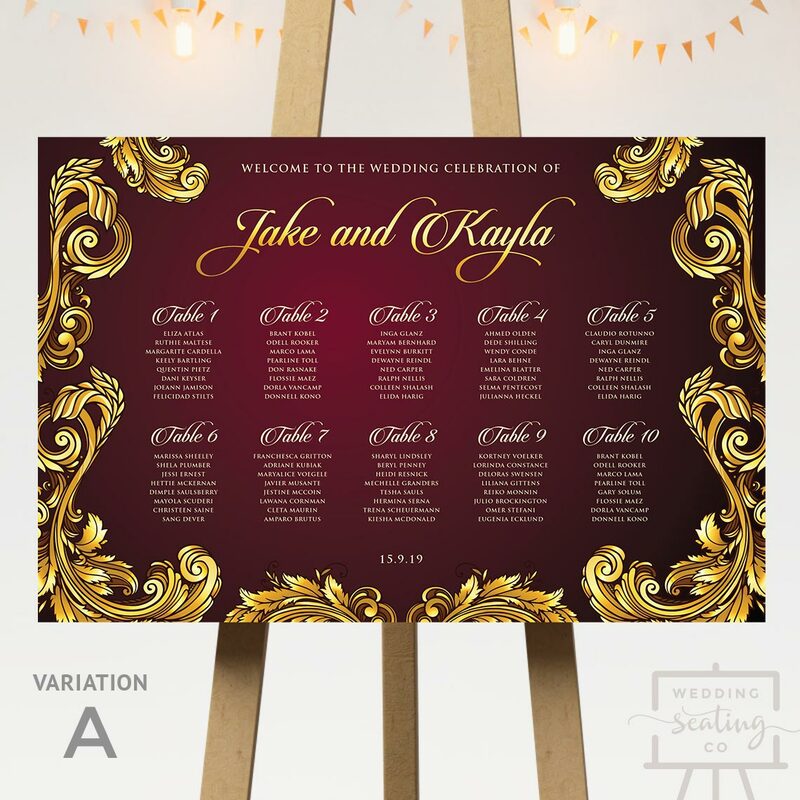 A printable seating chart featuring florals at the top along with “Welcome” and the names of the couple in a beautiful flourish script. 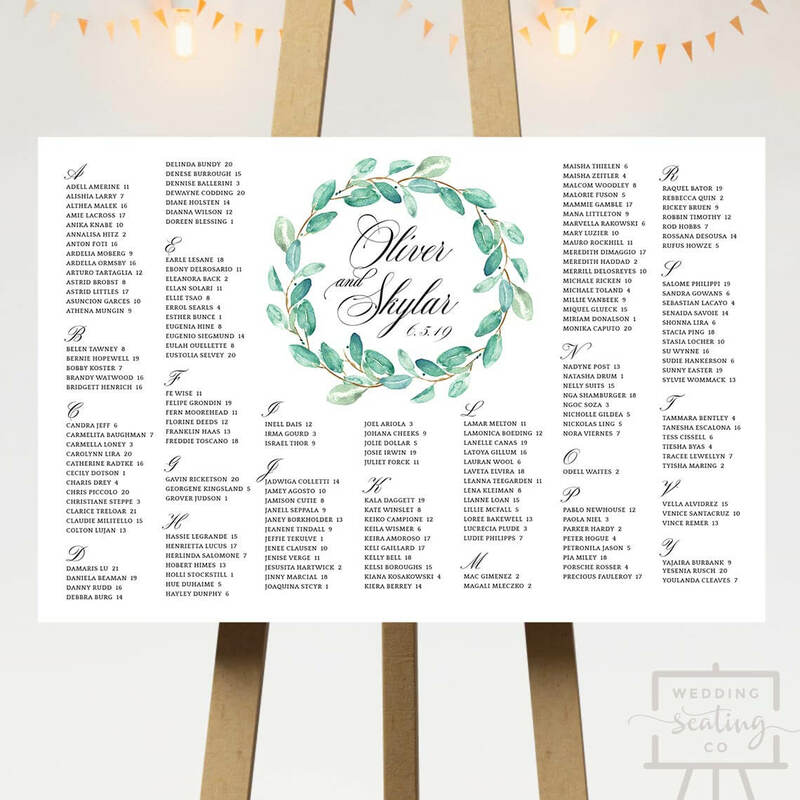 Variation A shows the design with white text on a dark green background. 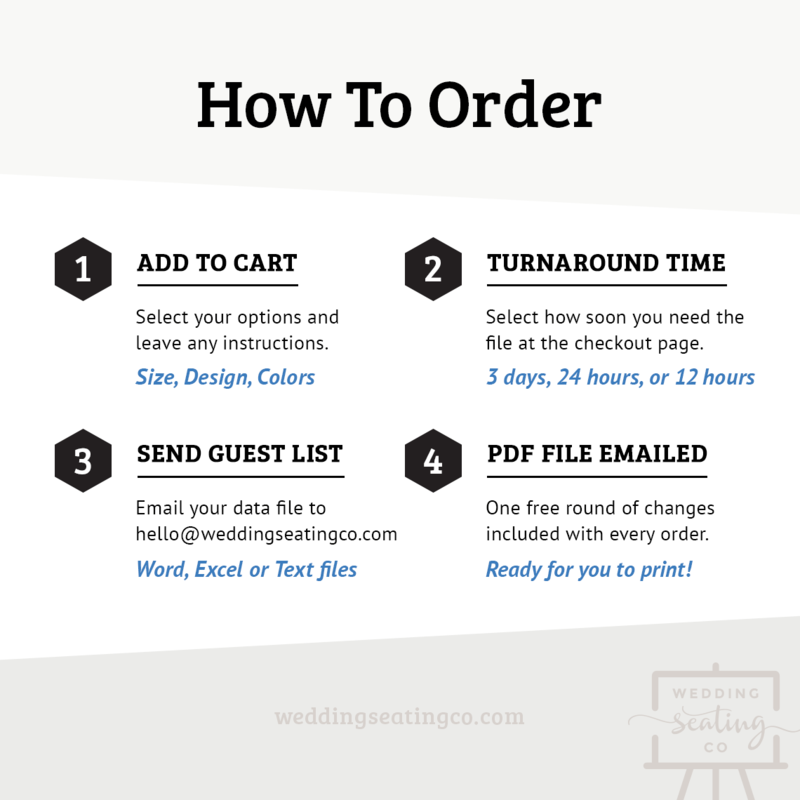 Decide on your own colors if you need to match your wedding theme. 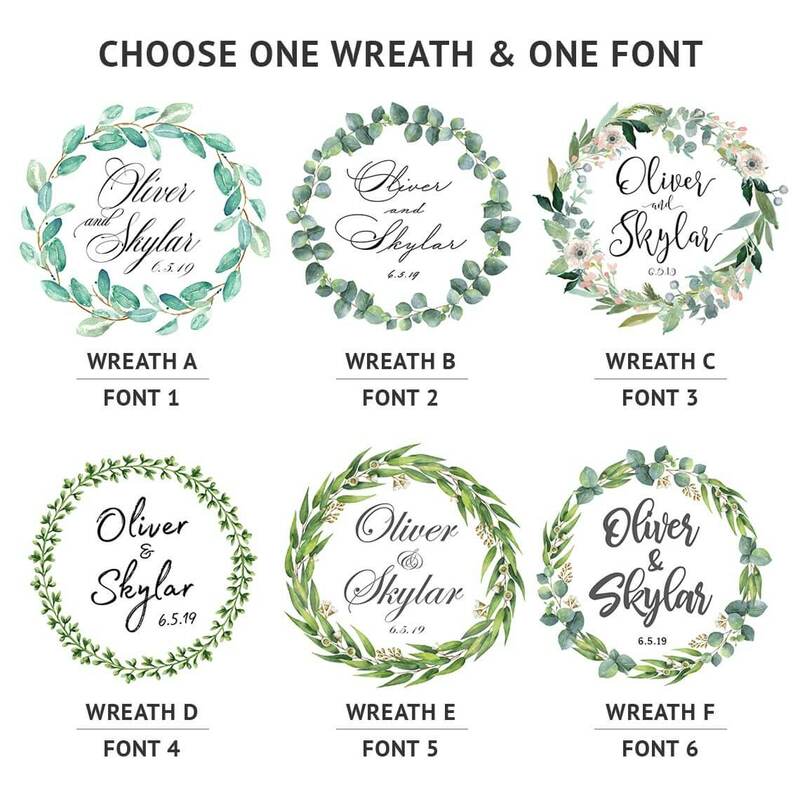 Colors of the flowers are fixed. 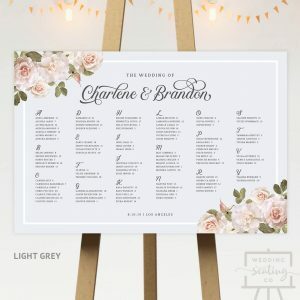 Scroll down for full details of Pink Rose Floral Wedding Seating Chart.